Here are the new additions to my shelf! The first set of books are the books that I have purchased (most of it) and received (Time Between Us) from June to August. The second set of books have all been purchased in the month of September. I can't really discuss every book I got on this haul because it would this post very long. SO just click on the title links if you want to know more about them. This is a bit long... so if you want to skip reading, it's okay. So for the first set, I bought 13 Little Blue Envelopes (last July), Uglies, and White Cat (by the end of August) at a local secondhand bookstore . 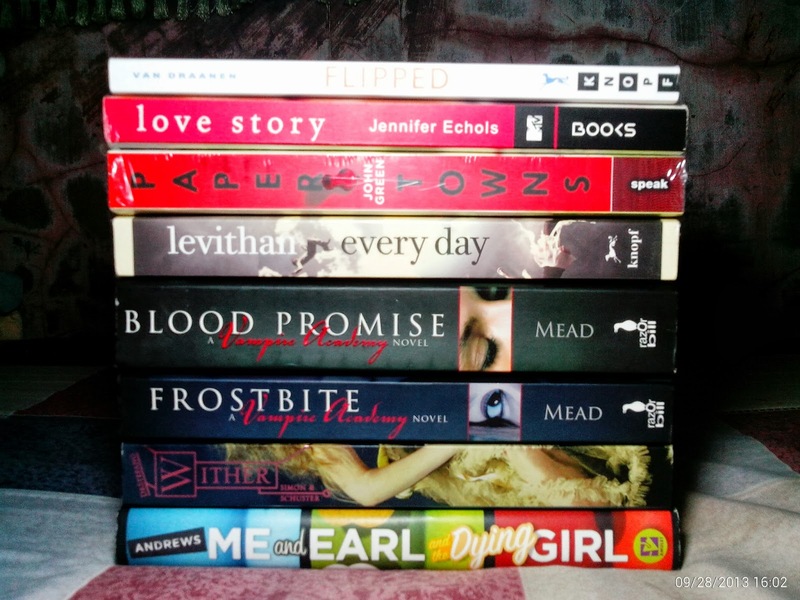 These are preloved books that are still in very good condition. I have seen these books around the blog universe, and so I decided to buy them. I think these three books cost more or less Php 350.00 in total (approximately $8.00 in US Dollars). 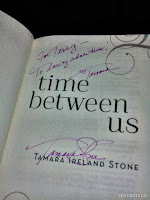 Now, Time Between Us by Tamara Ireland Stone was a prize for a giveaway I entered last May, I think. I received it mid-June, and I was so happy when I finally got it. It's my first signed book dedicated only to me. Yes!!! It is signed. 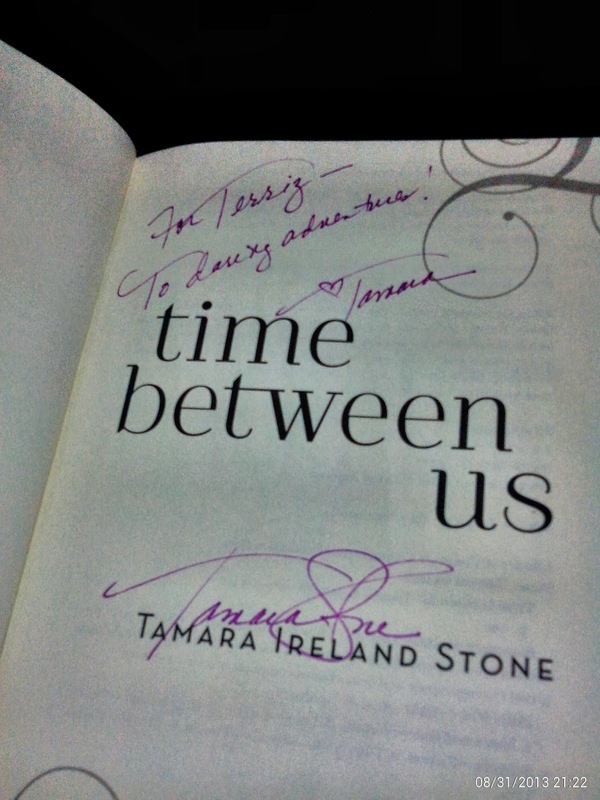 All the way from Tamara herself. Eeeeeek! The excitement and the joy were overflowing that time. Even now, as I am typing this, I still feel a buzz of thrill. Here it is! I bought Flipped and Love Story together at a bargain price of Php 99.00 each (about $2.29 for each book). I have seen Flipped's movie adaptation, and I loved it. It was cute and fun to watch, yet at the same time it was innocent and touching. And I would love to read the whole version of Bryce and Juli's story. The only reason I probably bought Love Story was because it was cheap. I have read the blurb at the back of the book, and it I guess it's interesting enough. But let's see. 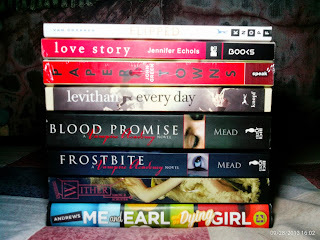 I was not really planning to buy the Vampire Academy books. Yes, I have read them all and I love the series, but I what I have are ebooks of the series. I want to have physical copies, and I really wanted to buy it from book 1. Since there was no book 1 available in the store, and Frostbite (Vampire Academy #2) and Blood Promise (Vampire Academy #4) were on bargain, the book nerd in me can't resist the temptation of buying these cheap books. So in the end, I bought them without the first book at about Php 450.00 for the two books (about $10.39). These two books were unexpected finds...Wither (The Chemical Garden #1) and Me and Earl and the Dying Girl . Both are also preloved, have been marked off more than half the price, and are still in very good condition. I purchased them at a total price Php 265.00 (about $6.00). That's all the books that I haven't showed everybody for the past weeks. I can't even believe I bought all these, and that my September book purchase amounted to approximately $37.00 for 8 books. Wow! I spent all that!? I need to control myself. I still have college fees to pay for. Nice haul! I just finished 13 Little Blue Envelopes last week... not my favorite Maureen Johnson title, but still decent. ^_^ Pre-loved books for the win! I love VA as well! haven't read Wither yet. I hope it's good. :) Thanks! Nice haul. I loved the Vampire Academy series. That's like one of my favorite YA Series. Come visit me as well. I haven't read any of these but I hope you enjoy them! Happy reading. Great haul. I loved Uglies, and I have a copy of Time Between Us to read too. Enjoy them! AHH I spy some Vampire Academy books, White Cat and Wither! Loved all of these!! Happy reading! V.A. BOOKS!! I love that series. I am currently working on it's spin-off series (Bloodlines) right now. Uglies in one I want to read at some point. Happy Reading! Wow, great haul! I'm a new GFC follower. I have read quite a few of these, recently read and reviewed Every Day and reviewed Time Between Us today (I really loved it). 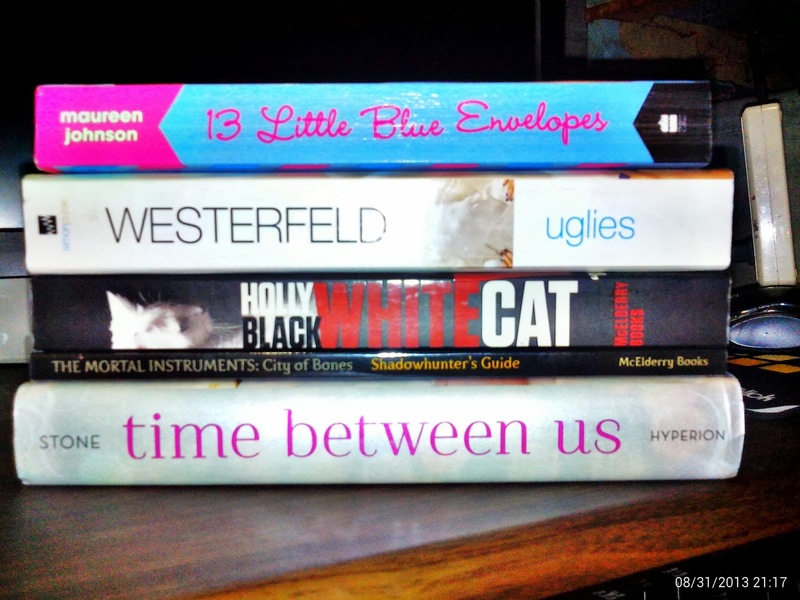 I absolutely loved the Uglies series!! !